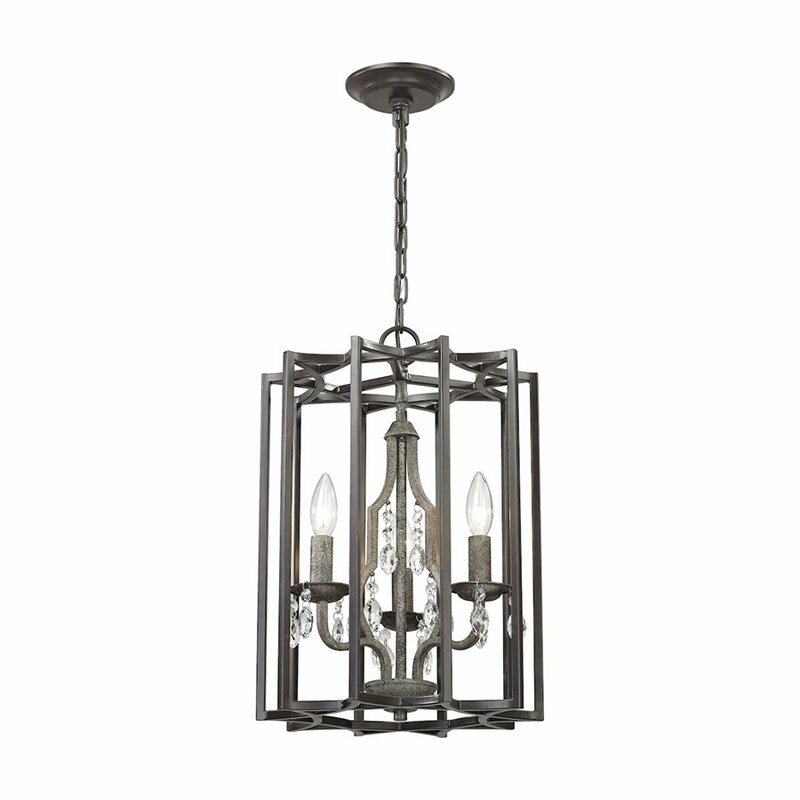 The Bella Chandelier features a unique design. 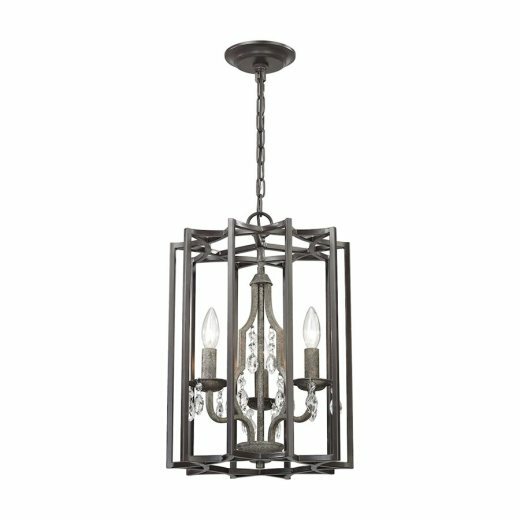 A serrated-shaped outer frame finished in oil rubbed bronze, encircles a crystal chandelier in Malted Rust on the inside for an elegant look. Features 60W lights. Available in three sizes.